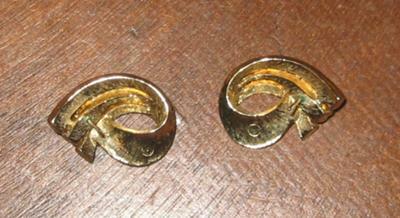 Gold Tone Costume Jewelry Trade Mark Circle with a raised dot in center. 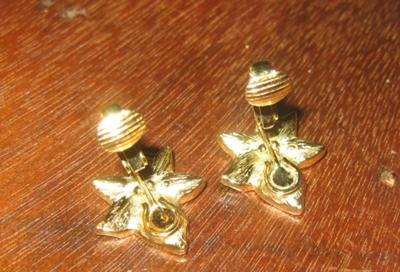 I have acquired a couple of pairs of earrings marked only with a very small circle with a tiny raised dot in the center. They appear like real gold, but they are probably vintage costume. My uneducated thinking is that they are from circa 1960 - 1980. I have searched high and low online for this mark and have found others looking for it too. Please help me identify this mark, it's driving me crazy!! !